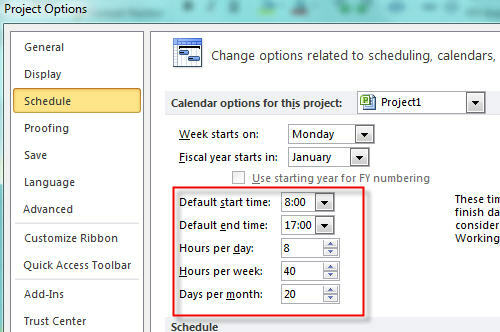 ← Scheduling problems in MS PROJECT 2010 – Part 2. This blog will be a short one. I am going to describe lead, lag, elapsed time, and start time in scheduling. before you can start with building the walls. Backup will start on Friday at 08:00 and finish on Monday at 08:00 which means that it will last 3 days X 24 hours = 78 hours. reschedule and that is what you don’t plan to do. Now, your meeting will start at 10:00 and finish at 11:00 as you planned. This entry was posted in Microsoft PRoject 2010, MS PROJECT 2010, PMI, PRoject Management, Uncategorized. Bookmark the permalink. Hi information is very much useful, thank you for sharing the information. 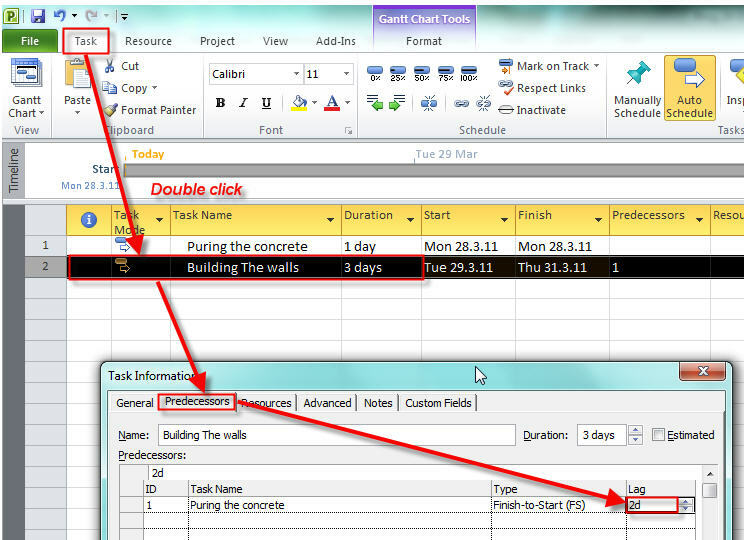 Can you clarify if we have multiple predecessors then how start and end dates are adjusted.